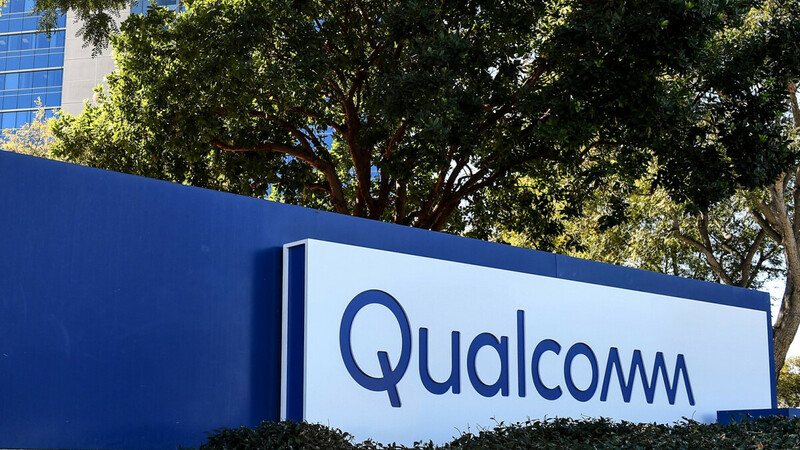 With the Snapdragon 845 nearing the end of its product lifecycle, it’s only natural that Qualcomm is preparing the release of its successor. But after six years of branding the processors as part of the 800 series, next year’s cheap may gain an extra digit on the end. 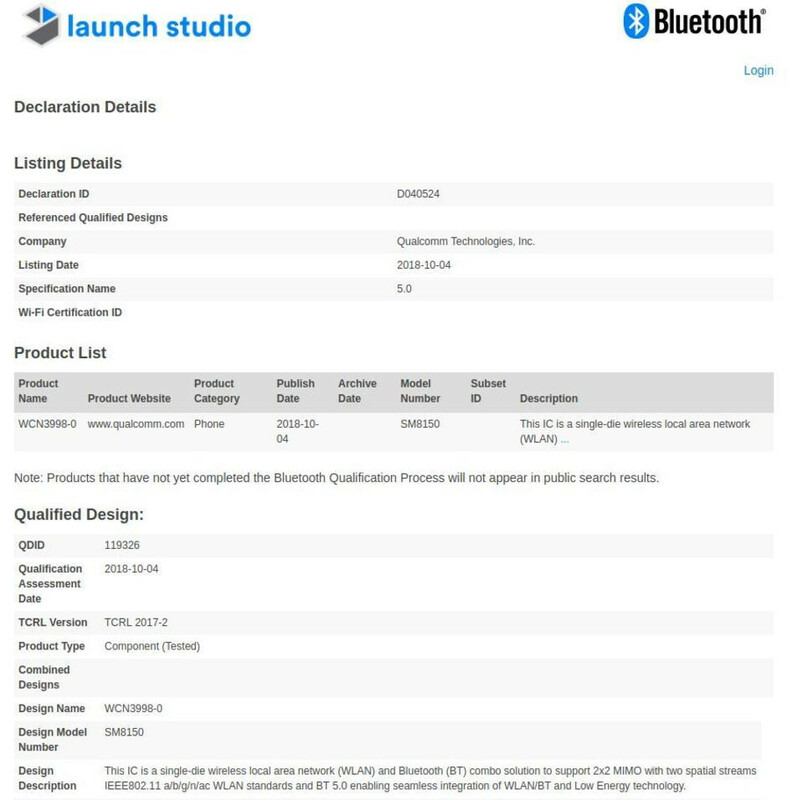 The processor, which was previously expected to be called the Snapdragon 855, has just been certified by the Bluetooth SIG. The listing in question reveals a few details but the most interesting is without a doubt the model number: SM8150. This coincides perfectly with more recent rumors and essentially confirms that Qualcomm’s next flagship processor will be called the Snapdragon 8150. Aside from the name, the certification unsurprisingly confirms that the chip will support multiple Wi-Fi bands and Bluetooth 5.0 Low Energy. In a recent Geekbench listing, the Snapdragon 8150 showed a significant gain in performance over the current Snapdragon 845. To be precise, the new processor scored roughly 1300 extra points on the single-core result and almost 2000 extra on the multi-core result. This puts it slightly ahead of Huawei’s Kirin 980. However, the Snapdragon 8150 still lags behind Apple’s A12 Bionic significantly when it comes to single-core performance. Considering Qualcomm’s previous launch timeline, the unveiling of the Snapdragon 8150 will likely take place towards mid-December. It won’t be until early March that the chip becomes readily available inside smartphones. Waiting patiently for this to be married to my S10 and Galaxy Fold up phone! Yeah in benchmarks not in real world side by side. Unless both chip are tested on same conditions, Same OS/hardwares/RAM/flashdrive etc... and you never know its potential. I'm not sure about that Apple chips were always 2 years ahead but now 1 year ahead. I'll give it 2 or 3 years Snapdragon chips will pass Apple's. The technology will peak and level off. Software will be the focus at some point. Just look at smartphone cameras. Not true at all. The technology will not peak off if they get better materials. Your speculation has no merit. I would say 6 month ahead now, snapdragon 7nm chip will be released feb maybe march. Actually this sd chip will most likely smack the a12 in gpu power and have very similar cpu performance. Probably not but I hope it does the a12 is great chip. Best so far. Without a doubt it will, since the adreno 630 was more powerful than the a11's gpu. Its just a cycle. Yeah thats true, they switched from the 4 core designed adreno 540. But they still managed to increase the performance of over 30%. The adreno 630 is very close to 1 teraflop. Very efficient how it manages to achieve 727 gflops being one smallest gpu's out there. Shut your dumb mouth. Troll bitching for reaction sake. And the logic of that name change? Why so complicated 8150 why not 850 or 855? Well they messed that up by calling PC's chips 850 instead of some other 4 diget number! Still lags?! The Android is a more complex, heavier and a more complete OS than iOS, therefore, if the Apple A12 Bionic made use of the Android as OS it would have a inferior score as have now. Less some 900 pts in Geekbench in single-core, some 3900 pts the same as the Snapdragon 8150 which still is in tests, still is a prototype. Let the 2nd version of Pocophone come out in the next year with the Snapdragon 8150 and will see that if the next Pocophone won't be as fast or faster than 2018 iPhone line.